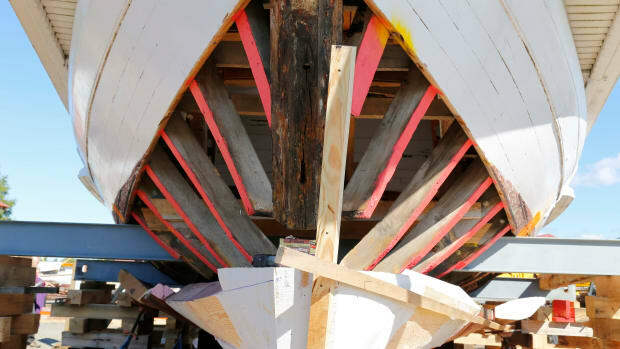 Chesapeake Bay Maritime Museum shipwrights crane Edna E. Lockwood&apos;s topsides and decks over her new log bottom. 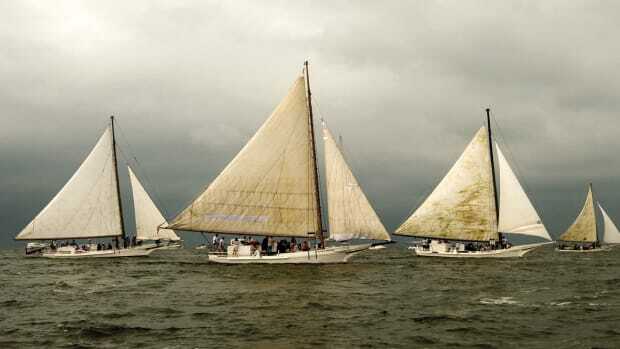 Shipwrights at the Chesapeake Bay Maritime Museum in St. Michaels, Maryland, completed a major step last week in the restoration of the bugeye Edna E. Lockwood, a sail-driven oystering vessel built in 1889. 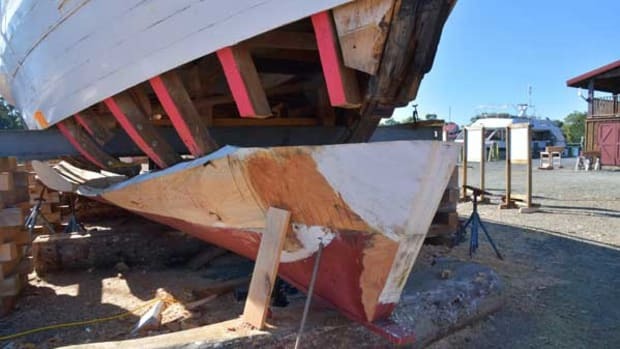 On Sept., 20, shipwrights used a crane to lift Edna’s topsides and decks from her weathered, 128-year-old bottom before stationing the structure above a newly made bottom. Hewn with axes and adzes from 12 pine logs that took years to source, the new bottom is pinned together with long steel rods. 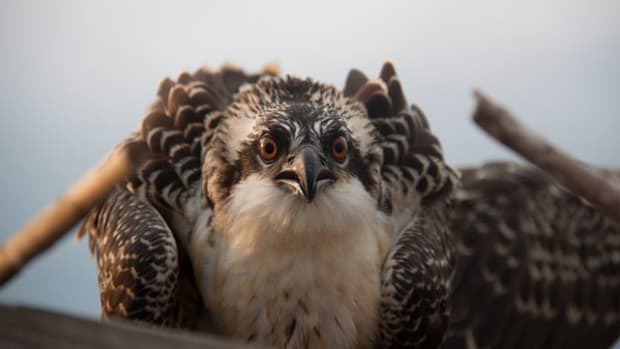 The next phase of the project will begin the process of joining Edna&apos;s topsides with the new bottom. 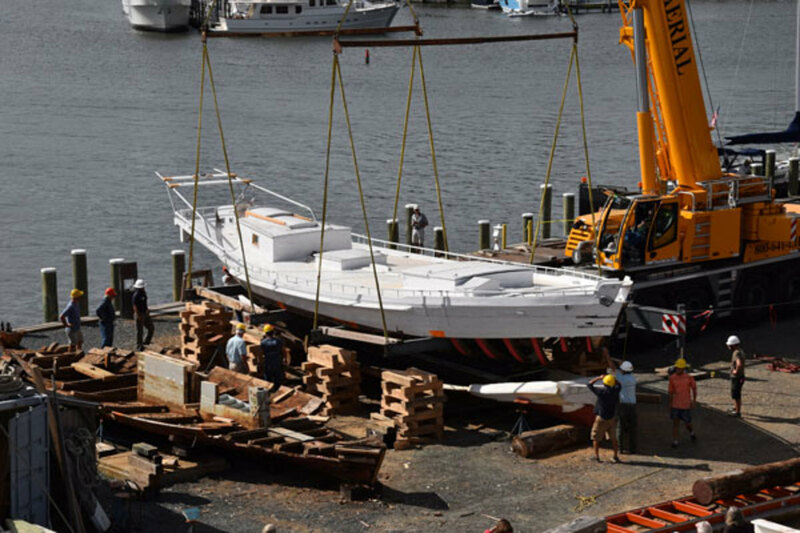 Edna E. Lockwood’s restoration will continue through fall 2018 when shipwrights will launch her in time for OysterFest, a celebration hosted each October by the museum. 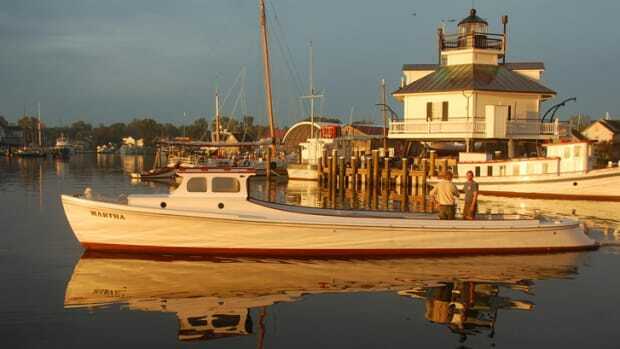 You can read more about this historic bugeye in Soundings’ December 2016 issue. 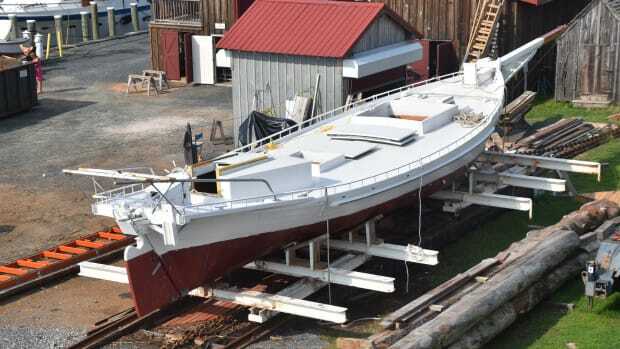 Launched on Oct. 5, 1889 at Tilghman Island, Maryland, the bugeye Edna E. Lockwood is undergoing a complete restoration at the Chesapeake Bay Maritime Museum in St. Michaels, Maryland. 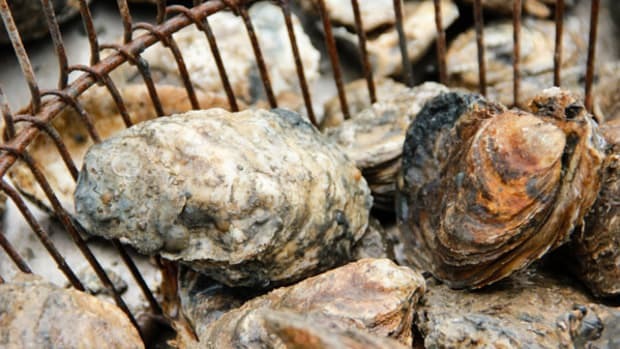 Among the work completed to date was the total removal and replacement of her nine-log bottom. This video has an update about the wrap-up work being done before Edna is relaunched later this year.